What I found out is that soy sauce alone does not a brown sauce make. I don’t care if you add vinegar, or chicken broth, or mounds of sugar—it’s not going to happen. 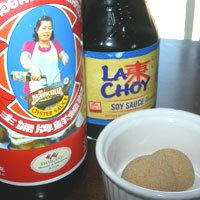 Herein lies the problem: you need Oyster Sauce. I know it sounds a little fishy, but it isn’t. They even sell it with the other Asian condiments, so it’s not hard to find. However, you can buy a bottle three times as large for less cost at your local Asian supermarket. I have to disclose at this point that if you are feeling queasy, it’s not the right time to pop in and pick up Chinese condiments. I spent a few months living in China, and I still get grossed out in an Asian supermarket. 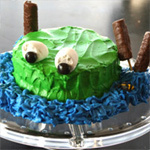 The things they have pickled in there… But don’t be deterred. Your perfect brown sauce is just one check-out line away, and if you want to try some actual authentic Chinese food while you’re there, go for it. It’s not going to taste anything like General Tsao’s, though, I can tell you that much. Here is an Americanized Chinese recipe that will satisfy your craving for both stir fry and Chinese all in one go. While your chicken is marinating, chop up the vegetables for your stir fry. Yes, you can use a bag of frozen, but it’s not going to be the same. I’ve listed some that I enjoy below, but anything you have on hand is also great. 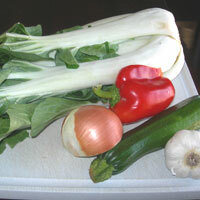 Choose vegetables with a variety of colors, such as bok choy, red bell pepper, zucchini, and carrot. (The onion and garlic are non-negotiable.) You should end up with 4 to 5 cups of chopped vegetables. When preparing bok choy for this recipe, trim the outer green leaves, and chop the stem like a celery stick. Heat a wok or non-stick pan to medium high and cook chicken in 1T vegetable oil and red pepper. Do not add salt and pepper! There’s enough in the sauce. 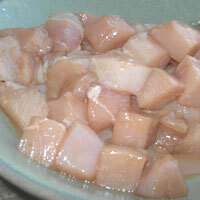 Remove chicken from the pan. Add vegetables and sauté for 2 minutes on med heat. Add 2T water to the pan. Cover immediately, and turn the heat to high. When steam escapes from the lid, vegetables are crisp tender. Wait about 1 minute longer or until all the water has evaporated. Watch the pan carefully at this point. 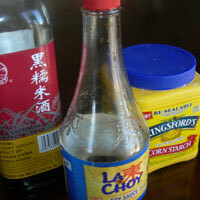 Wisk together sauce ingredients. Add to the pan, along with the cooked chicken, and heat through. 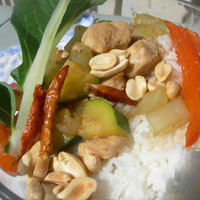 Add ½ cup peanuts to the finished dish. Serve over rice. 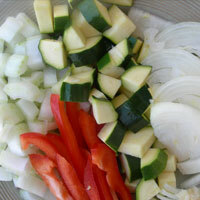 While your chicken is marinating, chop up the vegetables for your stir fry. 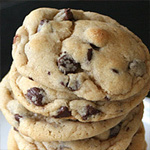 Yes, you can use a bag of frozen, but it’s not going to be the same. 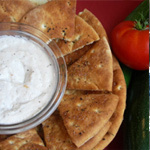 I’ve listed some vegetables that I enjoy, but whatever you have on hand is also great. (The onion and garlic are non-negotiable.) You should end up with 4 to 5 cups of chopped vegetables. 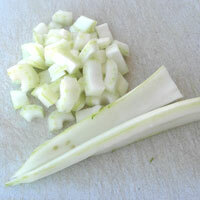 *For this recipe, discard the green leaves and cut the white stem like celery. 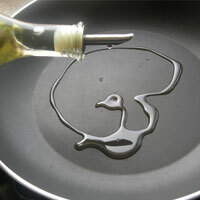 Heat a wok or non-stick pan to medium high and cook chicken in 1T vegetable oil. Do not add salt and pepper! There’s enough in the sauce. Remove chicken from the pan. 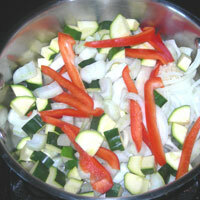 Add vegetables, cook 2 minutes, and then add 2T water to the pan. Cover immediately. 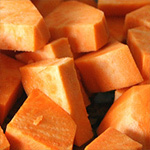 When steam escapes from the lid, vegetables are crisp tender. If you like your vegetables softer, wait one or two more minutes; however, be aware that zucchini, onions, and Bok Choy cook quickly. I would add these ingredients a minute after the broccoli and carrots. 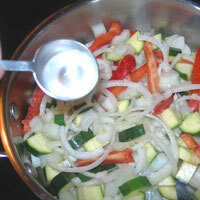 Once the vegetables are cooked, turn heat to low and add the sauce. Heat through and serve over rice.